1st Lt Robert J. Breitbarth, Bombardier; 1st Lt Edward L. Olson, Pilot; Major Harold G. McNeese, AC; 1st Lt Carl L. Davenport, Radar; Capt Francis E. Smith (P-55)**Temp Nav. S/Sgt Albert L. Fierro, Sr.
15 April 2012: Add T/Sgt Roberts to the Crew Honor Roll and the Final Flight Honor Roll section. 13 August 2008: Updated Major McNeese dedication page based on letter from Harold NcNeese to Edwin Wiley, that included a "bio sketch" dated March 28, 1994 that was forwarded to James Wyckoff (then Assoc President). 4 August 2006: The names of 2 men flying as Temp Pilot and Temp Nav identified. 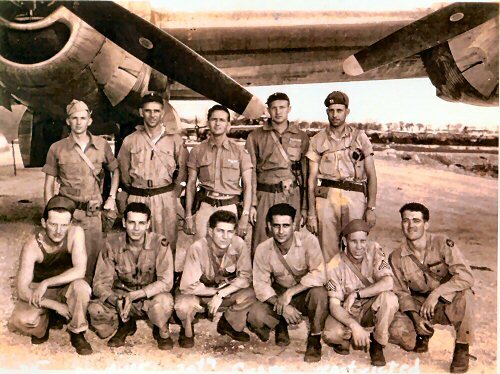 Thanks to Roberta Keele, daughter of 1st Lt Carl L. Davenport, Radar Observer for contacting us with the missing names. Her father's photos - same as shown above identifies the Temp Pilot in the top photo as "Hill" and the Temp Nav. as "Smith" in the bottom photo. A search of the 39th BG database shows only one "Hill" that was a pilot - 1st Lt Calvin W. Hill as Pilot, P-54 and only one "Smith" that was a Navigator - Capt Francis E. Smith, as Nav, P-55; Captain's bars can be seen on the Temp Navigator's cap in the bottom photo - so P-55's Navigator does fit with the facts known. 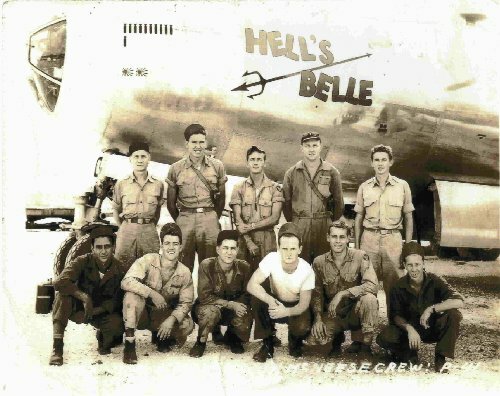 Calvin Hill was contacted and he confirmed that it is him pictured as "Temp Pilot"; "I flew with the P-41 crew on several missions as their regular pilot was ill. I got know the crew quite well at that time"
28 June 2006: Added the name Ralph A. Weston to the Crew Honor Roll - after finding a record of his death.